There was a positive reaction of the stocks on Wednesday, gaining momentum during the day. As a result, the U.S. main indices held an impressive rally with a growth by more than 2%. The dynamics of the American dollar was not a one-way street. 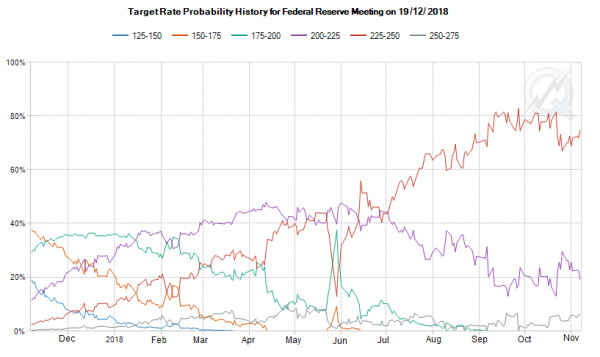 Following the initial decline due to the recovery of demand for risks, the demand for the dollar returned as the focus of market participants shift to Fed’s monetary policy decision. No change in the rates is expected today, but there have been hints for an increase in December. However, there is room to strengthen the American currency. 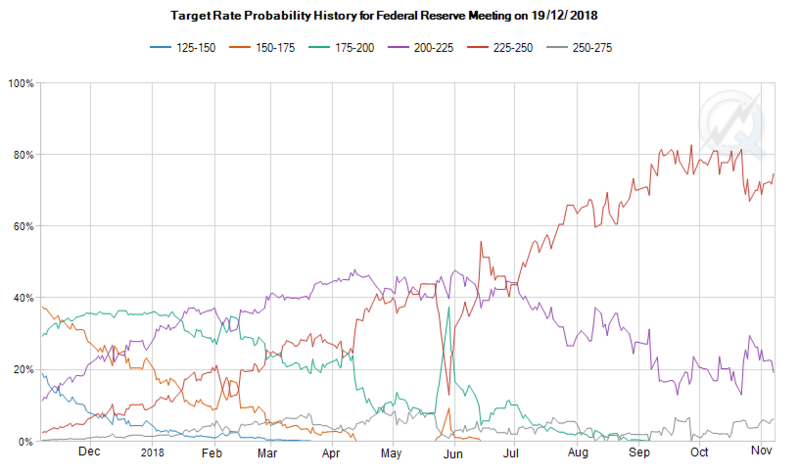 According to CME’s FedWatch tool, the markets price only 80% probability of raising the rates again by the year end, which is lower than a month ago. In previous years, the Fed paid attention to the economic conditions and the behaviour of the stock markets, not only domestically but also in other regions. For example, amid the collapse of Crude Oil and turbulence in China’s markets in 2015, plans for tightening policies were postponed. This attentiveness to the situation is not as manifests this year. The Fed raised the rate in September, despite turbulence in the markets of developing countries. The persistence of current policy path can lead to a new wave of pressure on the stock markets and greatly spur the growth of the dollar. This option looks unlikely, but it cannot be completely excluded. FxPro is an award-winning online broker offering Contracts for Difference (CFDs) on forex, futures, spot indices, shares, spot metals and spot energies. FxPro serves clients in over 150 countries worldwide and offers multilingual customer support 24/5. Trading CFDs involves significant risk of loss.